A triple coated linear barrier designed to protect structures and services from root damage and control the spread of invasive plants. Root Barrier C3 is a tough, flexible and puncture resistant barrier which is highly resistant to root penetration and designed to protect structures and services from tree root damage, as well as controlling the spread of invasive plants (Such as Japanese Knotweed, Giant Hogweed, Mares Tail and Bamboo). Lining the sides of planting pits with Hy-Tex Root Barrier C3 controls sideways spread of roots into the surrounding area where they can cause damage to property, pavements and services. Installing a buried perimeter sheet wall of Hy-Tex Root Barrier C3 can prevent roots undermining foundations and control subsidence from ground shrinkage caused by trees drawing moisture out of the soil. Encasing new service trenches with Hy-Tex Root Barrier C3 protects pipes from root fracture and provides a physical warning during any subsequent excavations. Root Barrier C3 is also used extensively for containment cells, or as a horizontal or vertical barrier, to protect clean soil, structures, hard surfaces and services from the spread of Japanese Knotweed. The fabric conforms to all the criteria required by the Environment Agency code of practice and offers a cost effective and quick alternative to the excavation and transportation off site of soil infested with this invasive weed. Root Barrier C3 is used in a variety of ways to control Japanese Knotweed: vertically to prevent the lateral spread of rhizome – protecting services and preventing ingress from neighbouring sites, and/or as horizontal capping to protect buildings and paved or tarmac surfaces. While, to avoid the expensive process of transportation to a licensed tip, contaminated excavated soil can be buried on-site, totally encapsulated within a Root Barrier C3 membrane cell under buildings, within cellar voids or in other places that will not be disturbed (for example a landscaped area or car park). 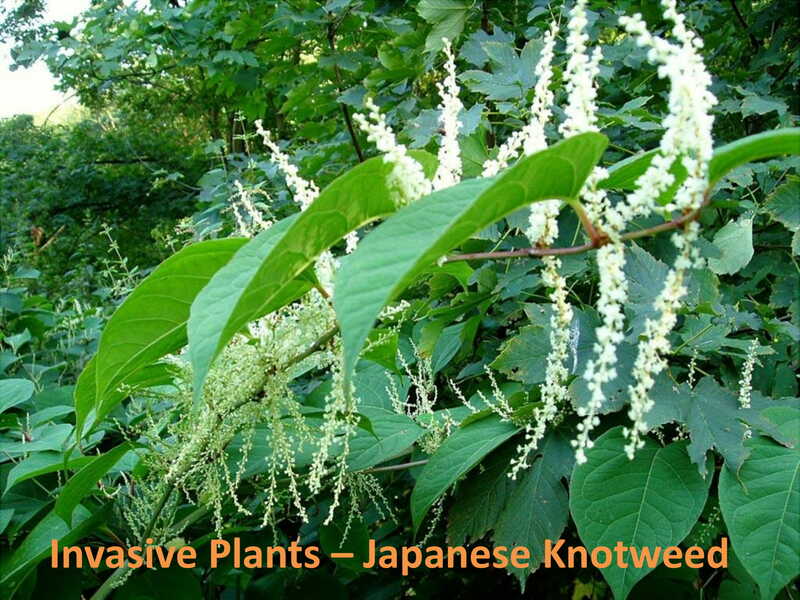 In the past, such sites infested with Japanese Knotweed could only be developed after 3 to 4 years of herbicide control, and even then there was often a risk Japanese Knotweed could re-occur during excavations. Installing Root Barrier C3can make construction sites immediately available for use with no risk to structures, roads or drains. 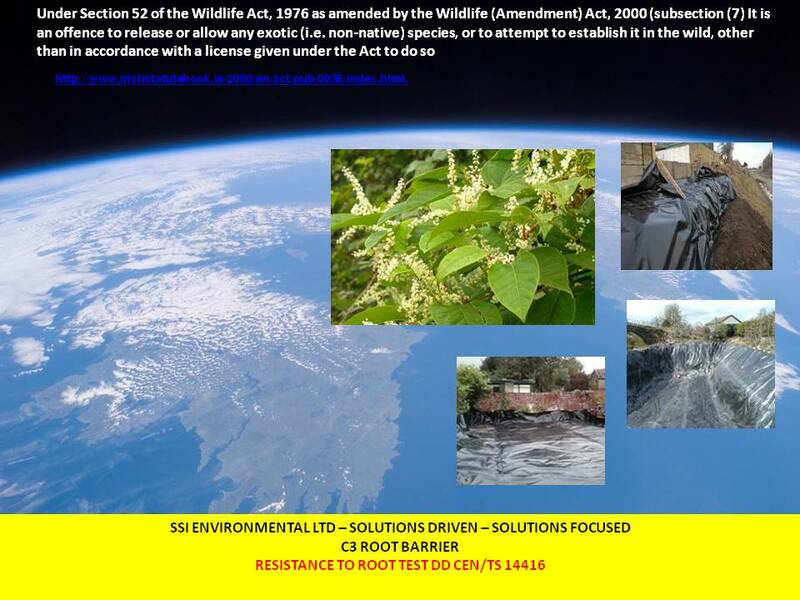 Root Barrier C3 has a life expectancy of over 50 years which is an important recommended requirement by the Environment Agency – as Japanese knotweed rhizome can remain dormant for at least 20 years. Kindly note, containment cells should be buried at least 2.00m below ground to afford some protection against small mammals, or deeper if badges or rabbits are present. Root Barrier C3 is a sophisticated composite membrane consisting of triple coating and twin reinforcing layers thermally bonded together to produce an extremely tough, durable and puncture resistant impermeable, flexible barrier against root penetration. The fabric is also UV stabilised and highly resistant to natural acids, alkalis, bacteria and fungi. Furthermore, Root Barrier C3 can be supplied in rolls up to 4.00m x 100.00m long, as a special order, to reduce laps and the membrane can be site welded to form larger sheets with improved joint integrity.